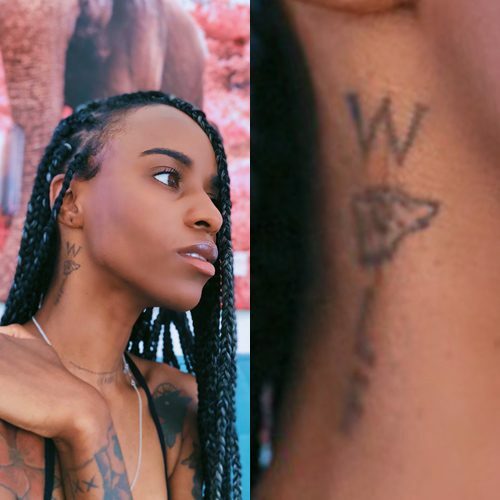 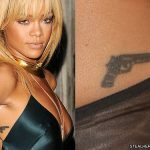 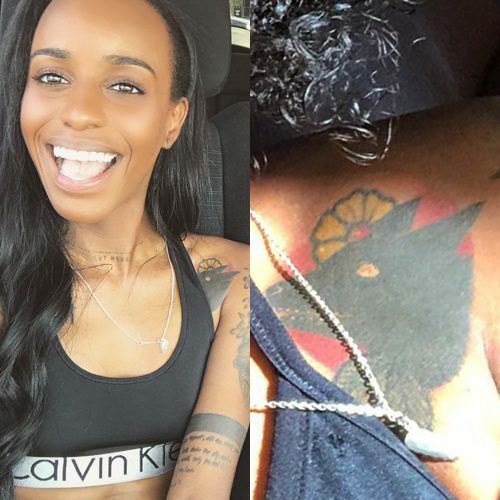 Angel Haze has the name “wolf” fit a small wolf hear instead of letter “o” inked on her neck. 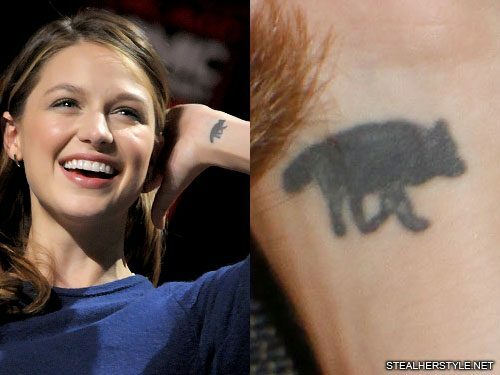 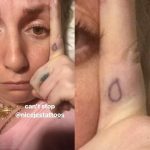 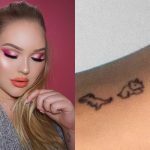 Melissa Benoist has a silhouette of a wolf tattooed on the inside of her left wrist. 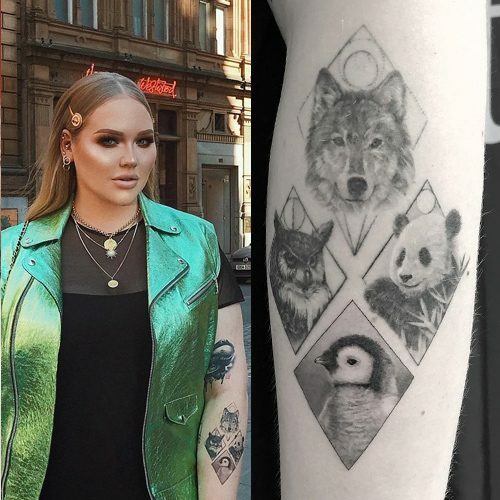 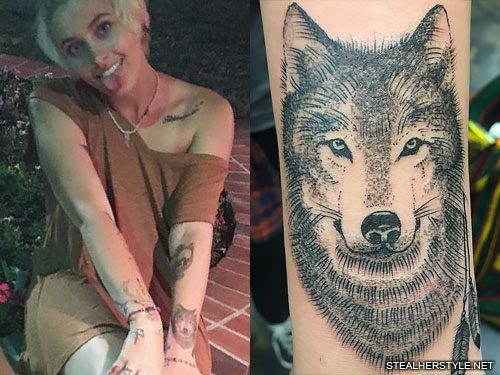 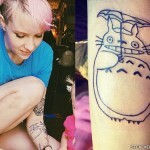 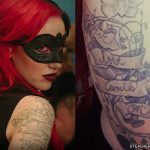 Skylar Grey has a tattoo of a wolf on the inside of her right forearm with the words “The Journey is the Reward.” She got the tattoo done by artist Tye Harris in September 2013.